I do like to match my bind-off with my cast-on. It’s not always possible, but when it is, I’m the happiest knitter in the whole world (for at least 10 minutes)! The long tail tubular bind-off appears to be the exact match to the long tail tubular cast-on we already talked about in another tutorial. As smooth as its companion, it allows us to close our work seamlessly and is even easiest than the latter. You’ll need a spare needle of the same size of your working needles and a tapestry needle. 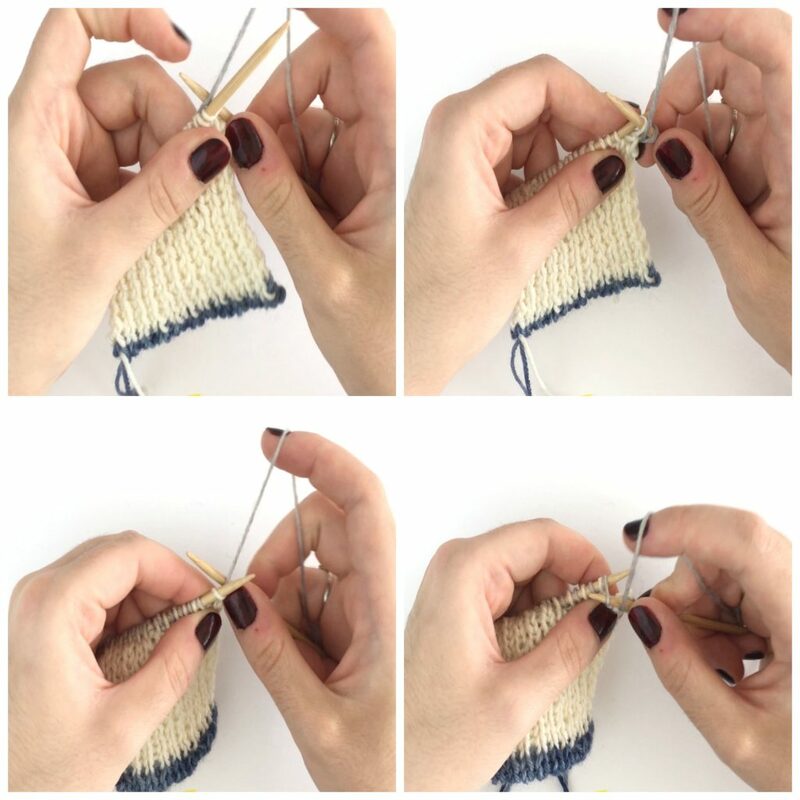 This bind-off has two steps: first you’ll need to knit two fundation rows, then you’ll graft stitches together. Work the first fundation row as follows: *knit 1, slip 1 with yarn in front; repeat from * across all stitches. Work the second fundation row as the first one. Next, you’ll need to separate the stitches in half to graft them and seam them close. 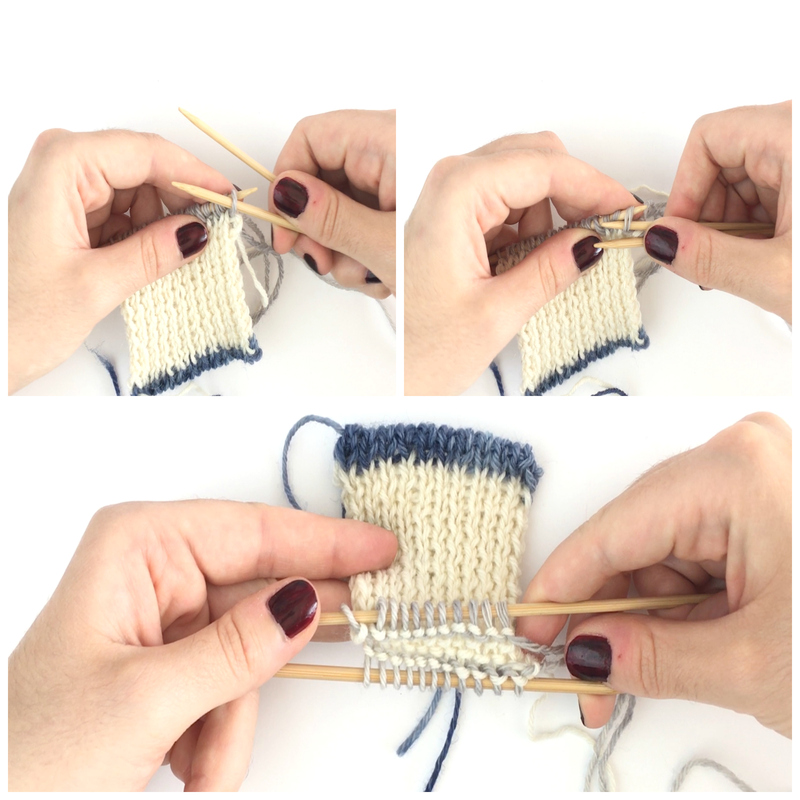 Slip all of your knit stitches onto a needle which you’ll hold in front of the work and all the purl stitches onto the spare needle which you’ll hold behind your work. When all of your stitches will be on the two separate needles, you’ll be able to “open” your work as pictures on the last photo. Graft all the stitches together to close the seam (if you need something to rekindle your memory on how to graft stitches, Knitty has a tutorial on that exact subject). Try to be looser than a usual grafting to keep some elasticity in your bind-off (we’re not closing toes this time, it does not need to me really sturdious! ).